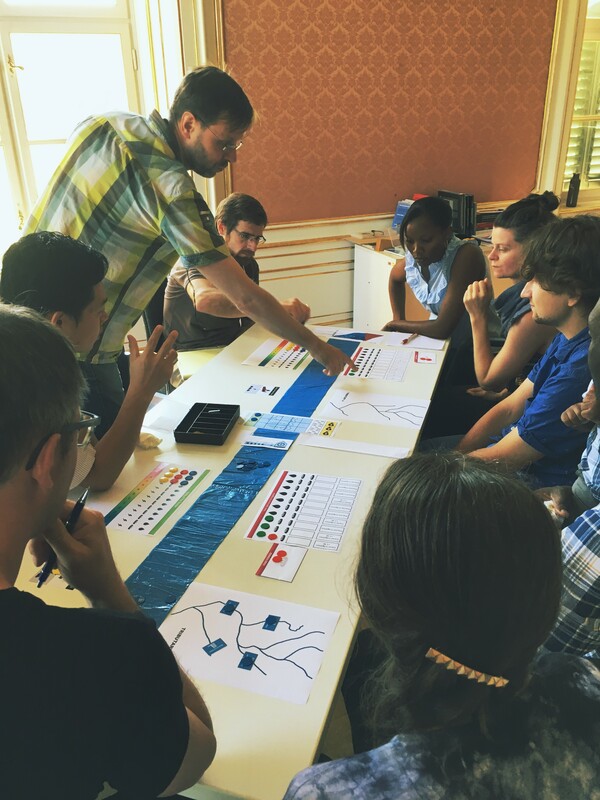 The Nexus Game gives participants a unique opportunity to get an insight into challenges of water management for energy and food production, at the same time sustaining environmental flows. The aim of the game is thus to provide an opportunity for practicing how different water management policies can lead to sustainable development of society in harmony with Nature. It can be used both as a training tool and a policy exercise. 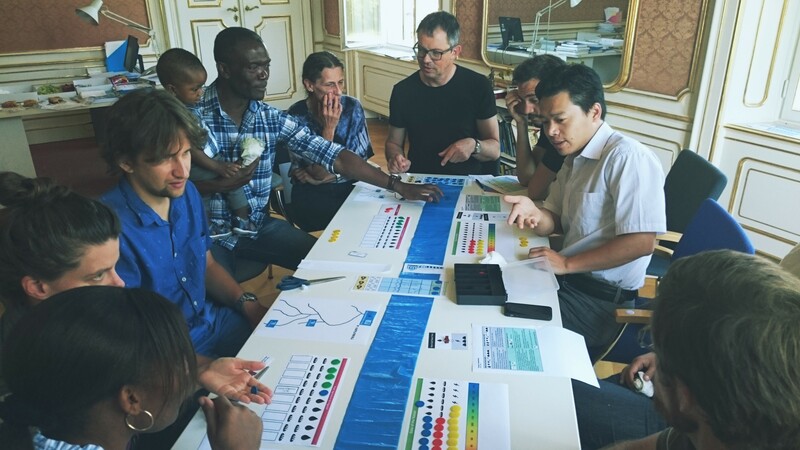 Participants strive to address water needs of population, industry, and agriculture, at the same time facing challenges of climate change.The game is designed to demonstrate many interconnected Water-Food-Energy Nexus challenges. The players take on the roles of policy makers in two countries that have access to the same river. They have to match the increasing water demand with adequate supply. In order to achieve this goal, effective collaboration and information exchange must be established between stakeholders both within and across the borders. Since the goals of both countries overlap, the game provides an opportunity for practicing conflict resolution and cooperation at the international level. 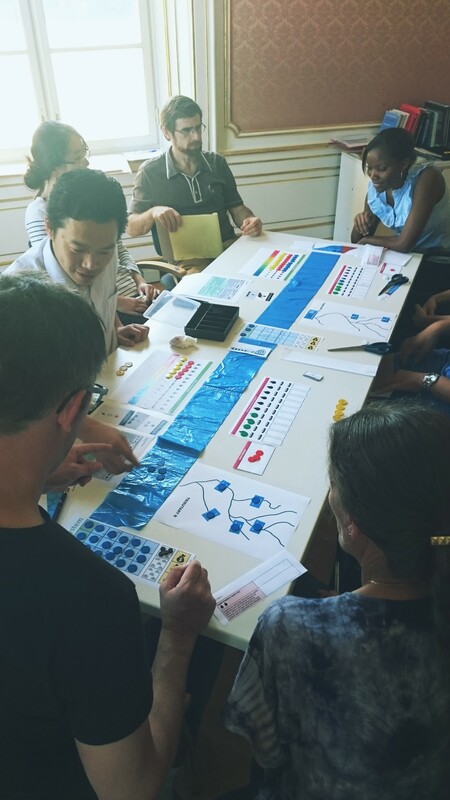 Players learn how to balance increasing water demand and solve water-supply conflicts between different sectors and countries. Players experience problems and opportunities connected with transitions in complex systems where multiple parties, stakeholders and their needs collide. Players discover the potential of new technologies for increasing energy and water use efficiency. Players practice collaboration among various organizations and groups of interest whose individual and collective goals differ.